Does your Custom Built PC need repairs or upgrades? Do you need a Custom Built Computer for yourself or your Business? 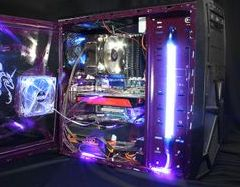 Do you need a powerful Gaming PC? Do you need any of the following upgrades or installations? Please call 571-358-5335 for an estimate. Custom Built PC Manassas, Centreville, Fairfax, Woodbridge, Chantilly, Dumfries, Nokesville, Bristow, Gainesville, Haymarket, Reston, Herndon, Sterling, Burke, Dale City, Lake Ridge and Northern Virginia. Custom Built System Manassas, Custom Built Computer Manassas & Centreville. Computer Repair manassas, Computer Repairs and Services in Manassas & Centreville.